The focus of leaving a legacy. I can’t do anything about my ancestry, but I can do a lot to impact my descendants. It’s the focus of leaving a legacy. My grandpa, Taylor Wright, grew up in a struggling era. He had been a fighter and was in-and-out of jail in his teenage years and his early 20s. His father was a bitter man, regarding some family events from the past. The cycle was broken when my granddad received Christ in the 1920s and was later ordained as a Baptist pastor. 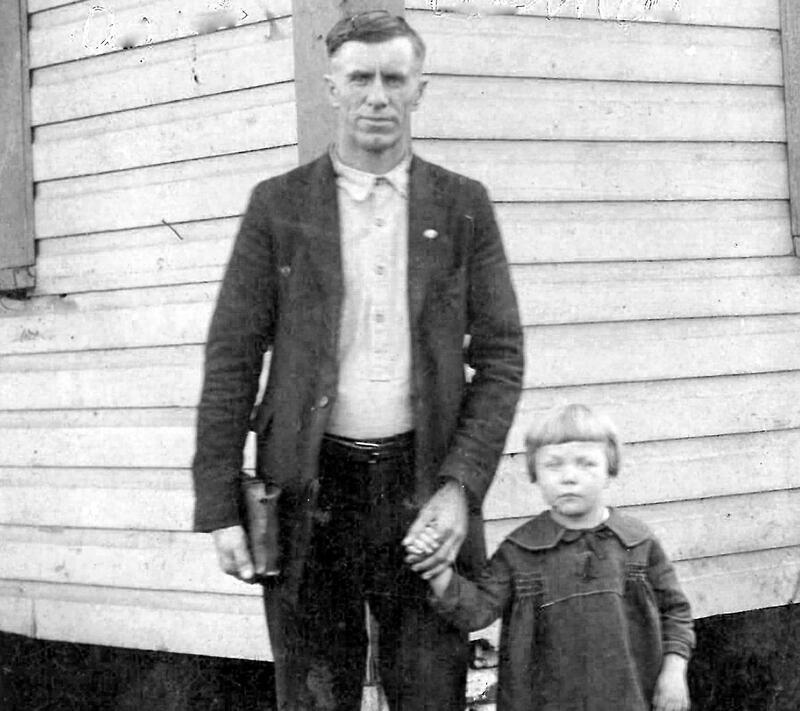 Here he is with his Bible under one arm and holding hands with my Aunt Alma Wright Bowman, my dad’s sister. His change in focus to Christ and family has affected multiple generations. I’m grateful for his impact upon my dad’s life and mine. Now its my turn. Don’t be so concerned about your ancestry; instead, focus on impacting your descendants. The decisions you make and what you do with your life echoes further than you can know. I’m grateful for the decisions he made!